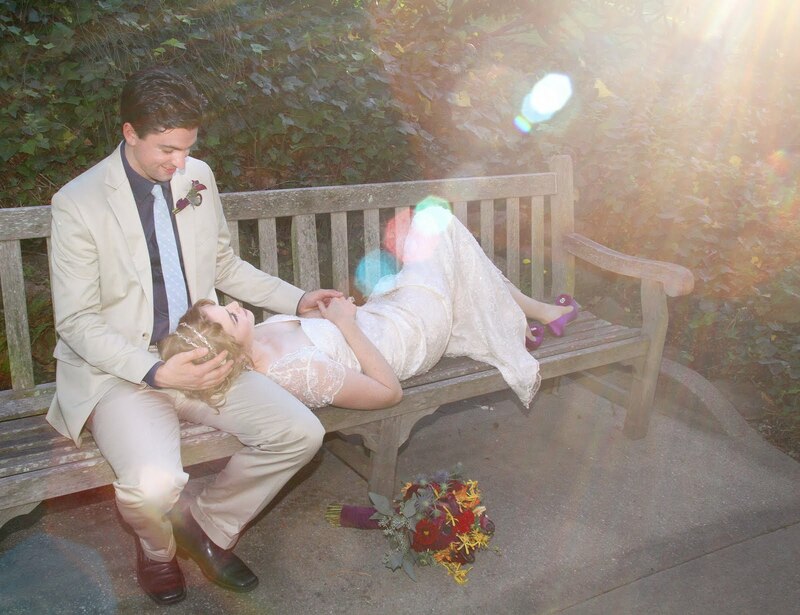 I just posted a blog on The Knot's Green Weddings website, about a wedding I helped with last year. I am reposting it here to share the gorgeous colors and designs that we came up with! Enjoy! Gorgeous and Green had the fortune of being able to help decorate a grand affair at the Piedmont Community Center, and the outcome was fantastic. I whole-heartedly reccomend Community Centers for events when a budget is on the line. And when you spend less on the venue you have all the more budget to spend on flowers and decor! 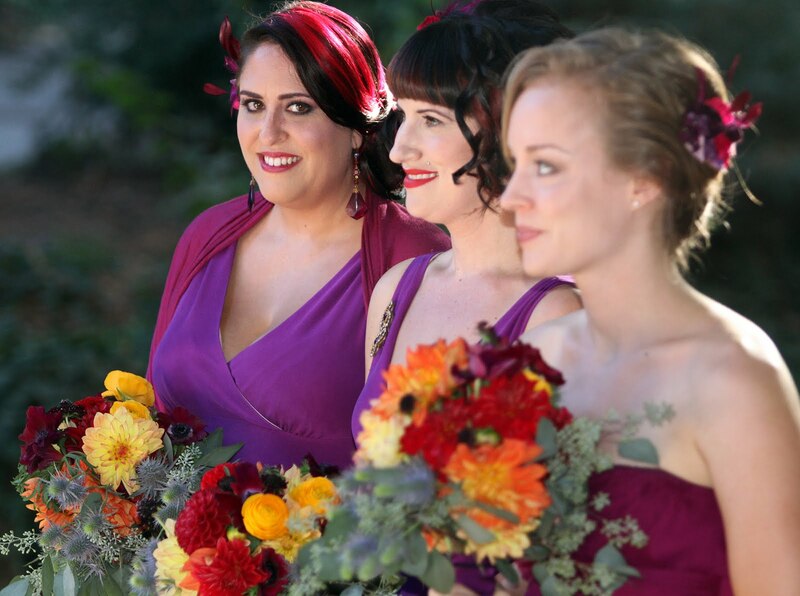 The bride was looking for a vintage inspired decor using a lot of greens and vivid jewel tones. 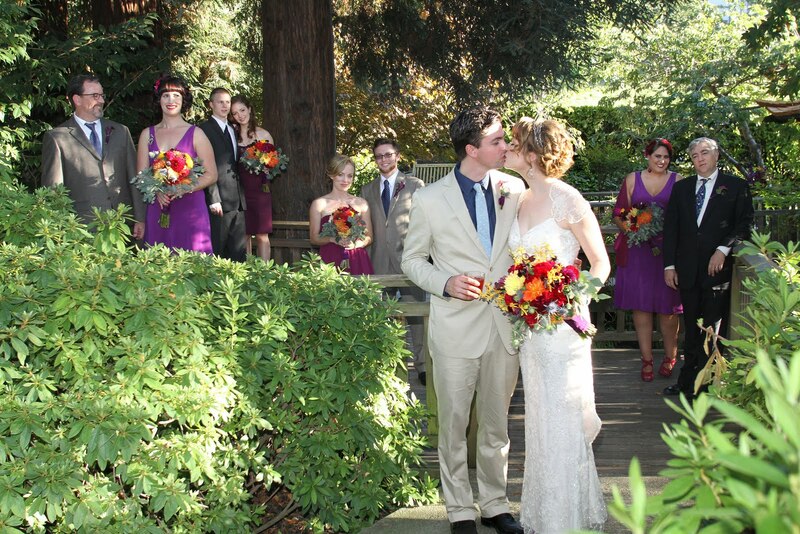 We rented what we could and used as many local flowers as possible. 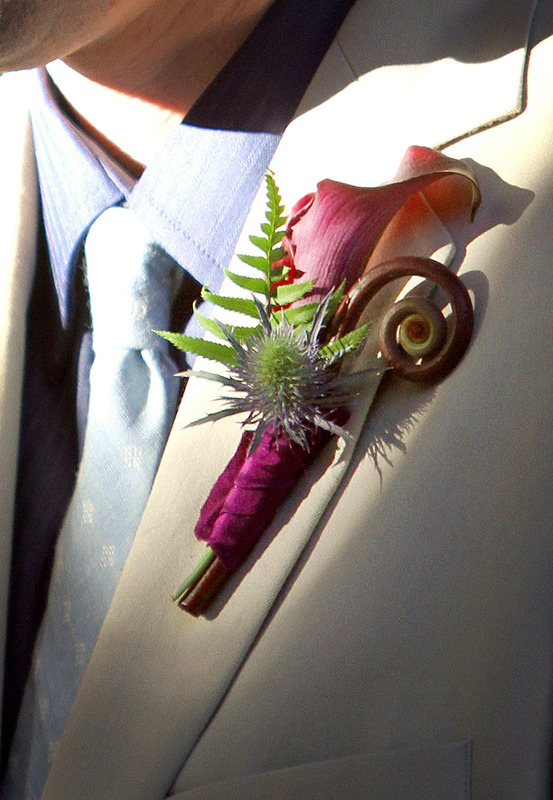 The bridesmaids wore dresses that were dyed at home, and I was able to get a hold of some of the dyed material to wrap the bouquets and boutonnieres. The Bride and her Maid of Honor loved succulents and made cute little planted succulent punch glasses as gifts for guests to take home. 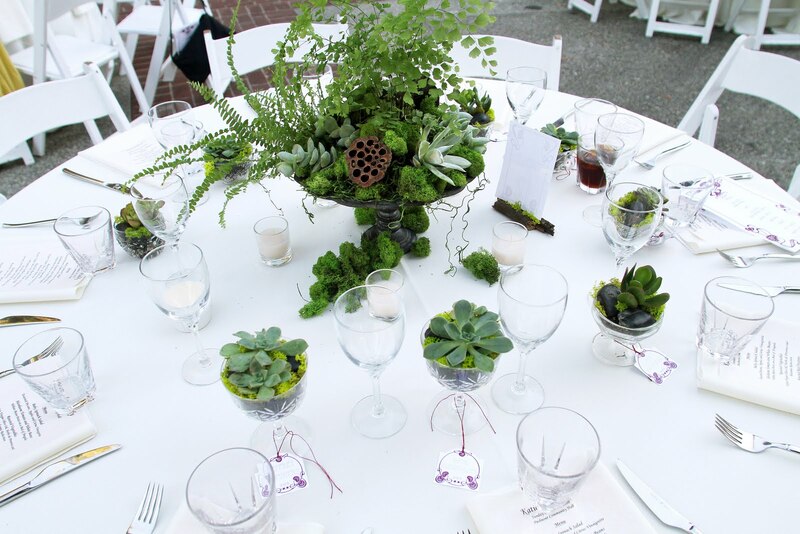 They went wonderfully with the fern and succulent displaysGorgeous and Green created for some of the table centerpieces. It turned out very romantic and classy. I love Vintage! Besides the fact that a vintage look is fabulous, it is also a great way to use used and recycled items! Way to be green!